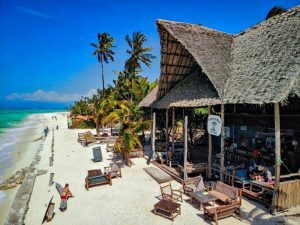 Gerry's Bar Zanzibar - Nungwi Beach! Your perfect Sundowner Beach Bar! 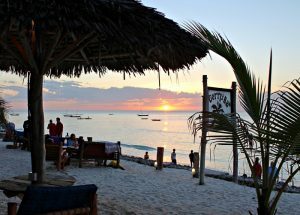 Gerry’s Bar Zanzibar… This wonderful Beach Bar has an Amazingly Authentic Feel to it! 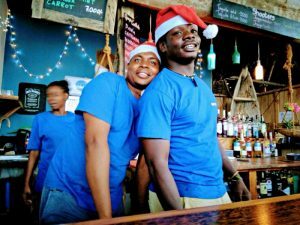 Warm friendly staff who are always very welcoming, tasty food, awesome music, fantastic beach vibes and of course Ice Cold Drinks & Cocktails! 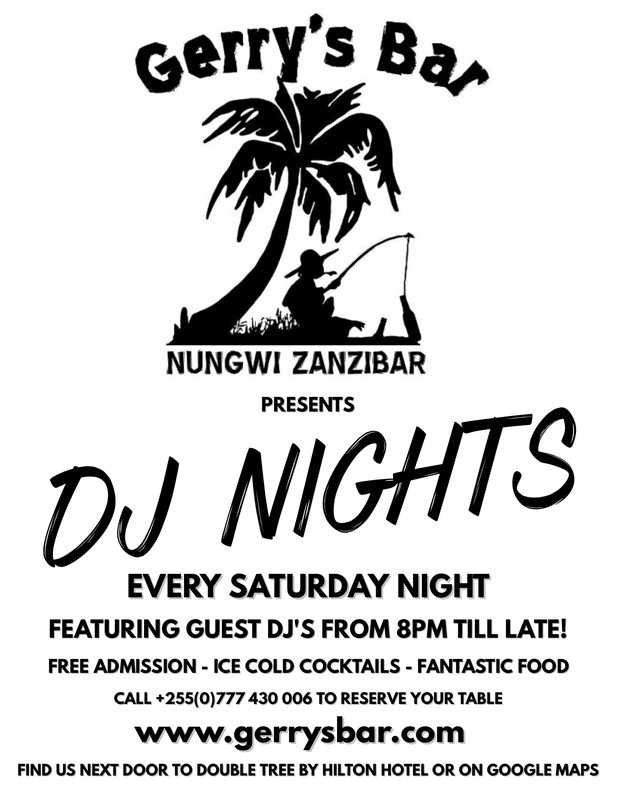 The place to be on Nungwi Beach!!! Don’t know where we are? Check out our “Happy Hour Cocktail Menu” from 6pm – 7pm! From Sunset time onwards, Gerry’s Bar really comes alive! Guest Artists join us on the beach and perform from the Sunset and on into the evenings with chilled Acoustic Vibes! Perfect to max out on the appreciation of our location and the Spectacular Sunsets that the West Coast of Zanzibar has to offer us! I just love this place, I go weekly for dinner or partying. One of the best places in Nungwi to party, good music, good service and especially a chilled out atmosphere. And very much looking forward to their weekly Reggae Party where they play non commercial music and have live bands. Friendly staff, good food, you know everybody, you dance with everybody, you make new friends … you feel like in “Cheers”! Enjoy our Fibre Optic Wifi Access. Book at taxi back to your hotel. Provide you with the darts and get your Game On!!! Book your Big Game Fishing Charter or Private Yacht Charter here too!!! 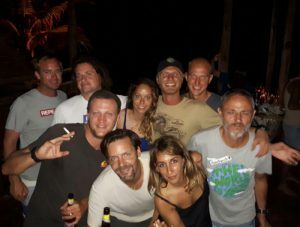 Gerry’s Bar Zanzibar…This is what its all about!!! 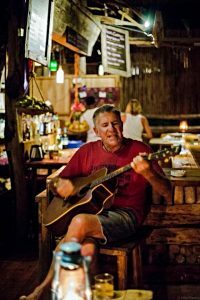 Gerry’s Bar offers a Relaxed Atmosphere with Great Music in a truly Beautiful Location! 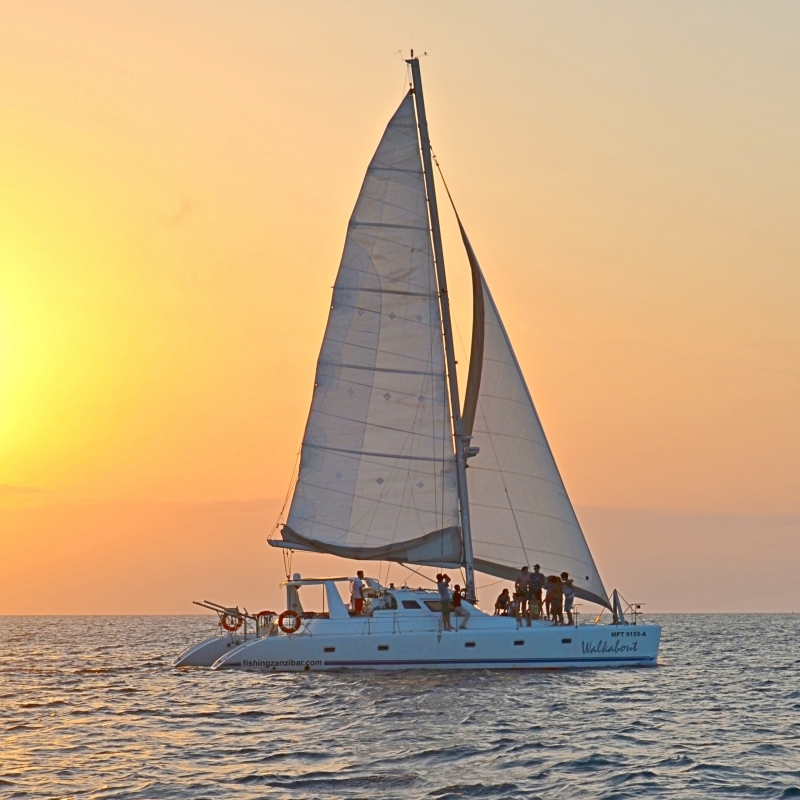 The perfect place to enjoy some Tropical Island Sundowners! Join us for some Spectacular Sunsets or some Beach Party fun with our guest DJ’s and Live Music.